Not having a sufficient Lightning protection (or none at all) can cause damage within seconds and cost Millions. Especially modern electronic equipment is very susceptible to an overvoltage by thunderbolt. Computers, modems etc. are extremely sensitive. In Germany there are approx. 750.000 lightning strikes each year, mostly in the south (five times more often than in the north). With a lightning strike very high lightning tensions can occur and in a fraction of a second an electric current of over 200,000 Ampère can set fire to inflammable materials. 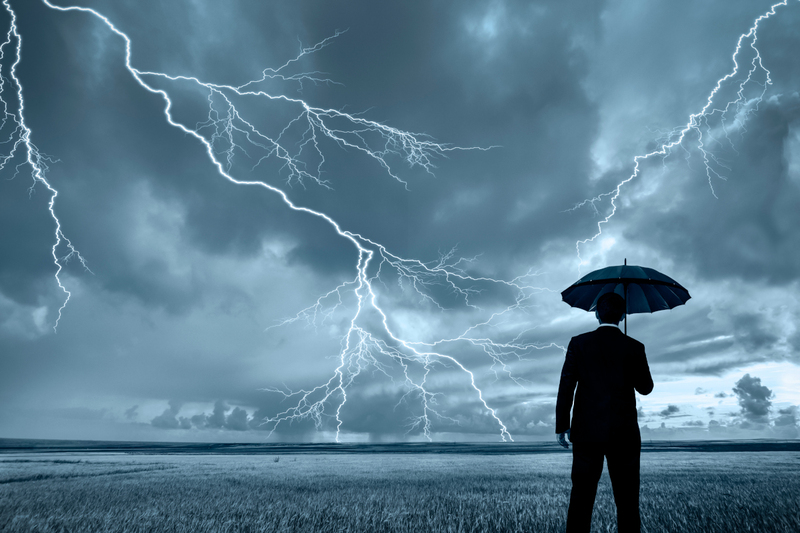 Overvoltages released by thunderbolts can cause substantial damages in electrical and electronic power supplies, control and communication networks. Tall trees, electrical overhead lines or lakes and rivers nearby never protect against lightning strikes. 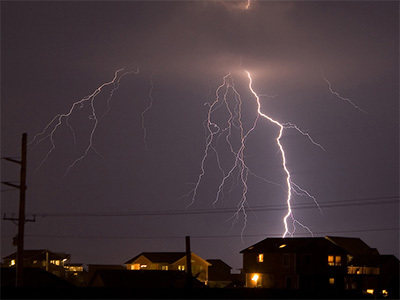 Lightning protection systems do not attract lightning, or prevent the lightning to strike. Instead the Lightning protection system deflects the high energy on a safe way and protects the building against serious damages. A complete lightning protection system consists of both external and internal lightning protection equipment. The external lightning protection equipment mainly limits the risk of fire. The internal lightning protection (overvoltage protection devices and others) limits the effects of the lightning and its magnetic fields on people and on electrical or on electronic devices.